I bought my sister one of your silk brooches at the Sheffield Gallery on our recent holiday. I am giving it to her tomorrow. It is absolutely beautiful. I also bought myself a glass necklace. We will wear these pieces with pleasure. Thank you for supporting my art addiction, Carol, and for taking the time to write to me. 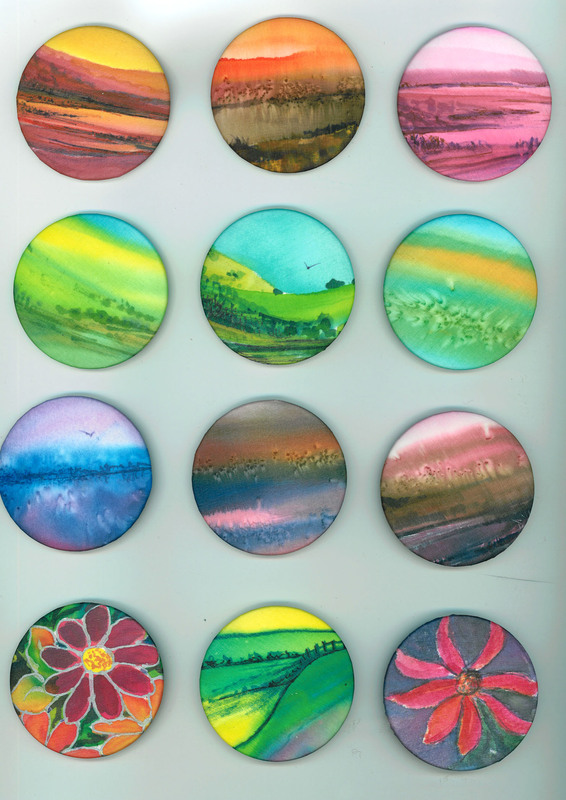 I do so enjoy the colours of the dichroic glass and the silk paints and especially love painting the little watercolours on silk. I hope to be putting some on my handmade shop online over winter…. the problem is the time it takes to photograph each so it does it justice with colours are true, then upload and keep track of it all. As each is individual, no reproductions, it takes a while…. and I would rather just keep painting!. Have a lovely day with your sister and, again, thank you.